Many have heard of Japanese horrendous prices for fruits. Regular fruits as apples and peaches can cost on average 200-300 Yen per piece whereas bigger fruits like watermelons start from 1000¥ and do not seem to have a limit. 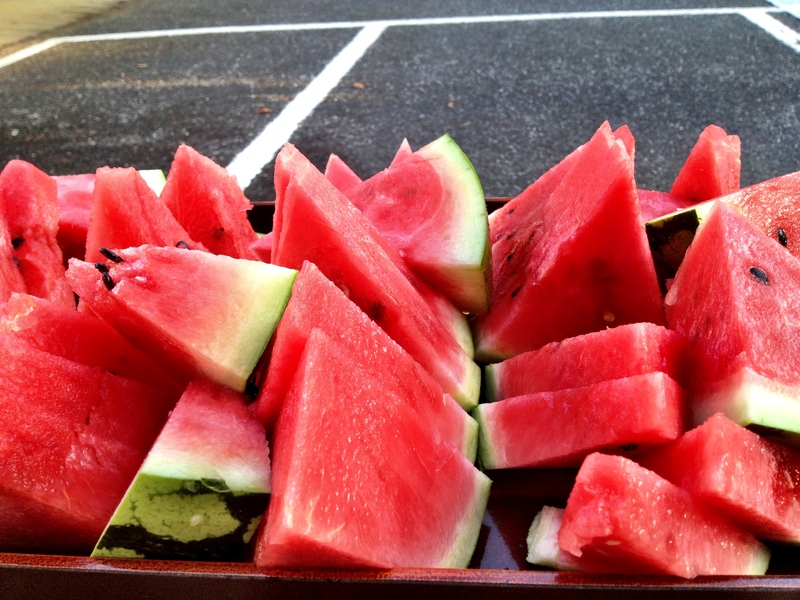 According to an article published by HuffingtonPost in 2008, one rare black watermelon was even sold for $6,100. The article also stated that “a pair of “Yubari” cantaloupe melons was sold for a record $23,500″. Those prices are definitely not what normal households pay for fruits, but might show, that fruits are generally expensive, (some are even beyond what anyone would pay). Besides watermelons being a bit pricey, Japan has an interesting custom of watermelon splitting. 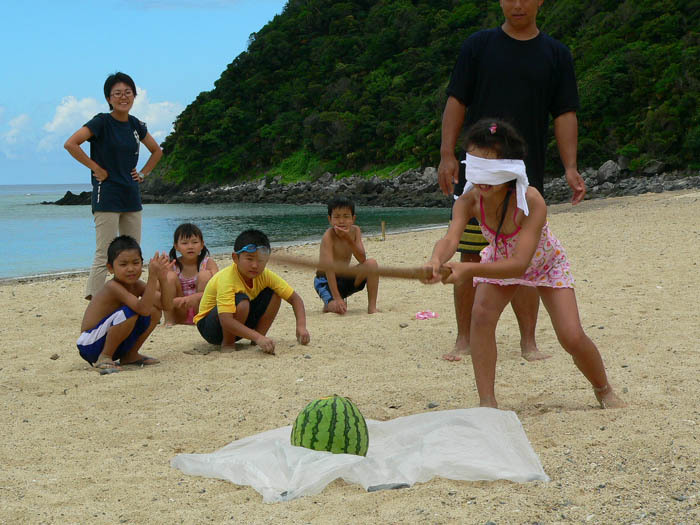 A popular activity during summer and often at the beach, the game involves one person being blindfolded, usually spun around three times, and their attempt to crack it open. The person to manage to strike and open it first is the winner. You might have seen it in anime or Japanese movies! The game is popular, since once the watermelon is opened, everyone gets a share of it, therefore everyone is pleased and there are no ‘losers’. The Japanese Agricultural Cooperative (JA) established a Japanese Watermelon Splitting Association (日本すいか割り協会, Nihon Suikawari Kyokai, JSWA) in 1991, to promote the eating of watermelons. They have set a bunch of rules, to make the game more fun. Nihon Suikawari Kyokai, JSWA is not active now. But instead of JSWA, 日本すいか割り推進協会 is now active and promotes the official rule of Suikawari. The maximum length of the stick should be 1,20m, the maximum width 5cm. To make sure, the person being correctly blindfolded, a Japanese tenugui should be used. To test, whether the person can really not see, a 1000¥-bill should be dropped to check the reaction of the blindfolded. A made in Japan, well ripen watermelon should be used. The time should be set to maximum 1.5 minutes for the striking attempt. Next time you go to the beach, do not forget to bring a watermelon! Have a Break, Have a KitKat −in a Jar!